Nelson Mandela was a global icon who truly made the world a better place. He is gone now, but his deeds and his words will be remembered in world history beyond those of most American presidents. On June 26, 1990, I heard his eloquence in person while sitting as a congressional staffer in the gallery of the U.S. House of Representatives. Mandela was only the third private citizen in U.S. history to address a joint session of the U.S. Congress. Earlier that year, he had been released from prison, where he had served 27 years for fighting apartheid, South Africa’s system of racial segregation. For holding these very American-sounding views, Mandela was a political prisoner on Robben Island, a desolate speck of land surrounded by the beauty of Cape Town, not unlike Alcatraz in San Francisco. His rise from these hopeless circumstances to become South Africa’s president, a central figure on the world stage, and then a beloved elder statesman is a remarkable story of persistence, patience, faith and forgiveness. According to a global study in 2011 by the Reputation Institute, Nelson Mandela topped the list of the world’s most respected leaders in politics, business, culture and sports. 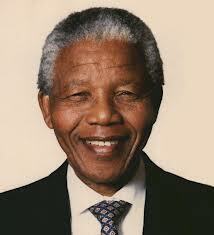 In recent years, Mandela consistently ranked near the top of the Gallup Poll’s annual list of most admired men. In 1993, Mandela won the Nobel Peace Prize. In 1994, he was the obvious choice for president in South Africa’s first democratic election. In short, Mandela was the George Washington of South Africa – the indispensable founding father of his country’s democracy. As president, Mandela pursued the cause of racial reconciliation with the same determination and moral courage that he used to bring a peaceful end to apartheid. He maintained his popularity among the black population while simultaneously gaining the respect and admiration of the white community which had once reviled him. To get a glimpse of his magnanimous spirit, watch Mandela as portrayed by Morgan Freeman in the movie “Invictus.” In one of the defining moments of his presidency, Mandela appeared at the final of the World Rugby Cup in Johannesburg in 1995 and affirmed the slogan, “One Team, One Country.” His support of the mostly white South African team, which won the world championship over New Zealand in a stunning upset, helped unify black and white South Africans. My son Andrew and I visited South Africa in 2010. The parallels with Mississippi were hard to miss. South Africa, like Mississippi, was beginning to flourish like never before when their people were allowed to govern themselves and reach their God-given potential. At the same time, they were working to overcome the debilitating effects of generations of deep racial divisions. Sound familiar? In the post-Mandela era, South Africa is grappling with the growing pains of democracy, when outcomes do not meet lofty expectations. The same could be said of Mississippi during Reconstruction and even today. It was Mandela’s version of “Give me liberty or give me death,” an ideal that made him an endearing symbol of the worldwide struggle against injustice and a source of inspiration to people the world over. Like our own founding fathers, his legacy will be celebrated for ages to come by those who love freedom.